Again, I have failed when it comes to reading my book but that's not the case with Noah's. 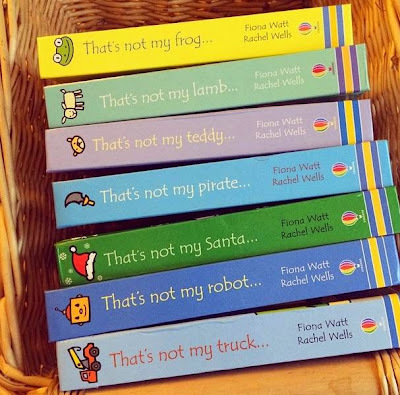 We read together often and Noah has taken a liking to his "That's not my.." books again recently. Today I bought him the Frog edition to add to his ever expanding collection. I think it's his new favourite as he can't stop laughing when I read it to him. He also adores his personalised In The Night Garden book which I reviewed here. I've watched way too much TV this week with The Following, Mistresses and Revenge on my to watch list. There is nothing like a binge watch when the little one has gone to bed, it is my guilty pleasure. How crazy has the weather been this week? In the morning it would look drizzly and cold so I would dress appropriately. Then in the afternoon the sun would come out and I would have to get dressed again into something cooler. 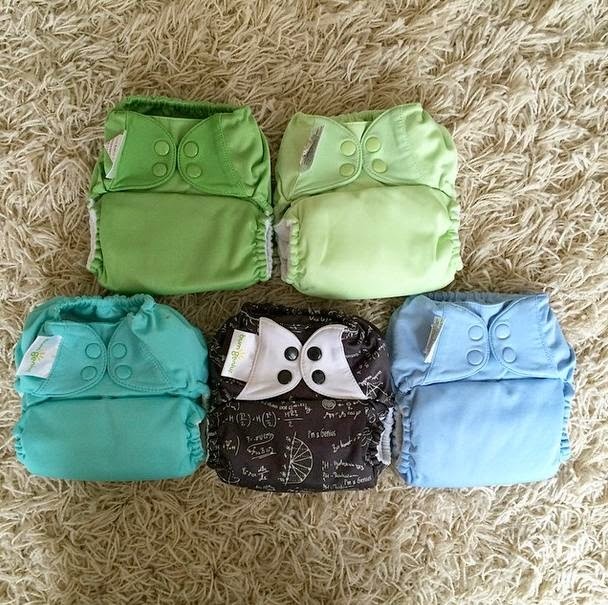 Noah has been wearing his new Bumgenius Freetimes as I had a little spending spree and bought half a dozen of them! I think they are my new favourite nappy. Noah has discovered Thomas... Need I say more?! I felt a clear out was in need this week as the house was getting a little cluttered. Whatever we didn't use I decided to either throw away, donate or sell. I ended up listing quite a few different items over on eBay and they were bought pretty quickly. I am now looking for the best parcel delivery as I found it to be cheaper online and I do have a lot to send. I posted on social media a couple of weeks ago that a chrysalis had appeared in my porch. I am a lover of all creatures so this of course really excited me. I decided to leave it where it was because I didn't want to risk damaging it and it was safe where it was. Fast forward a two weeks and he finally emerged. I did a little research and it turns out he is a Speckled Wood butterfly and his markings are beautiful. 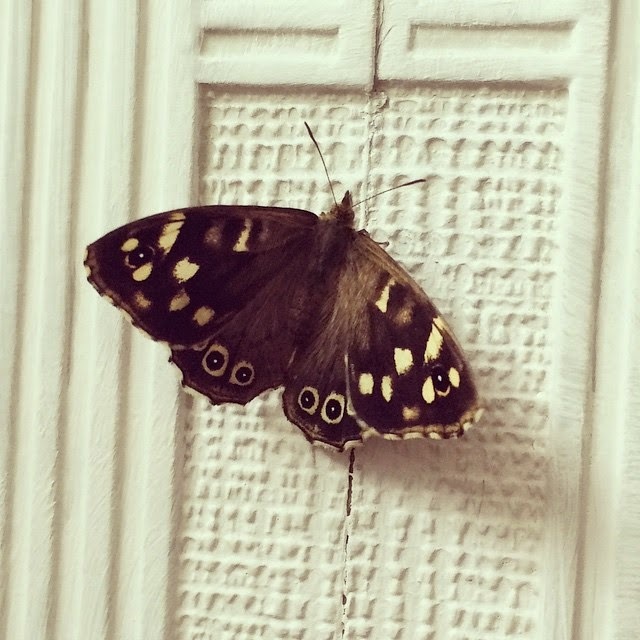 I waited hours for his wings to dry before I released him outside. Hope he is okay out there! We had so many of those 'that's not my' books when my girls were little, they're so good aren't they?